Prío Cantabria is beautiful and has lots of guest houses. 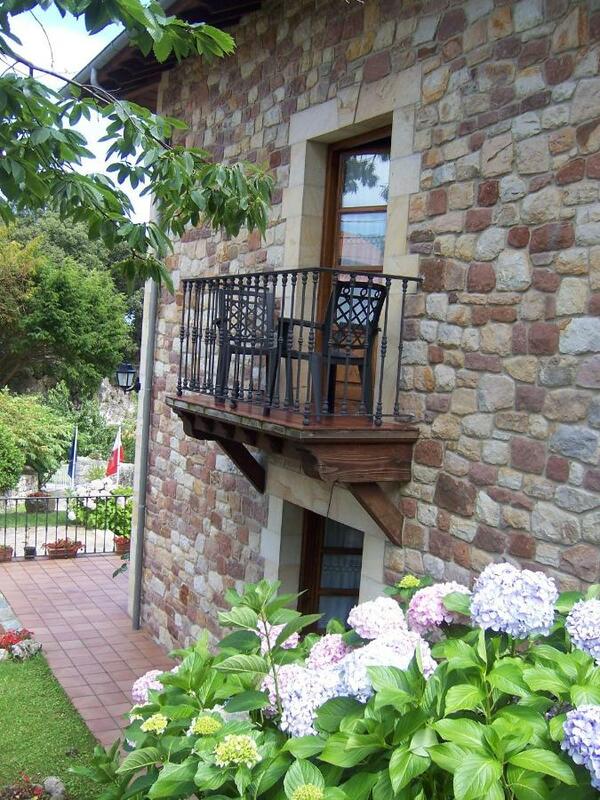 Ofcourse we are only looking for the best guest houses in Prío Cantabria. 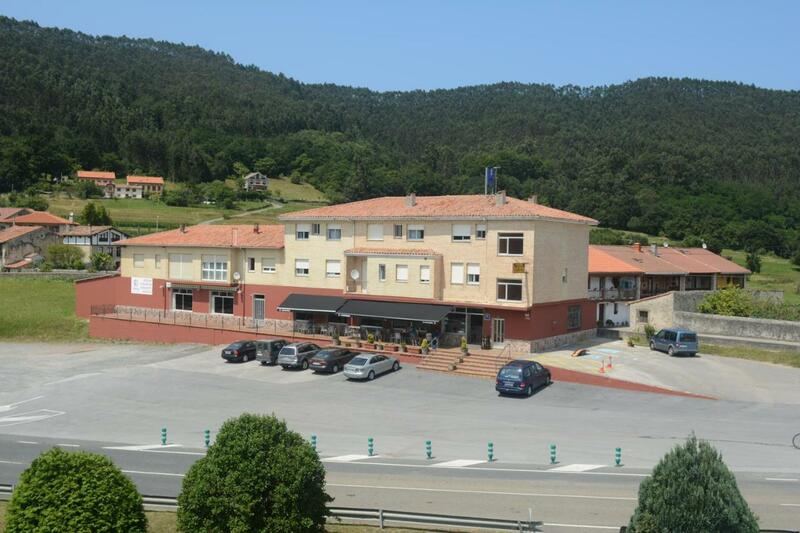 It’s important to compare them because there are so many places to stay in Prío Cantabria. You’re probably wondering where to stay in Prío Cantabria. To see which guest house sounds better than the other, we created a top 10 list. The list will make it a lot easier for you to make a great decision. We know you only want the best guest house and preferably something with a reasonable price. Our list contains 10 guest houses of which we think are the best guest houses in Prío Cantabria right now. Still, some of you are more interested in the most popular guest houses in Prío Cantabria with the best reviews, and that’s completely normal! You can check out the link below. Skip to the most popular guest houses in Prío Cantabria. Featuring free WiFi throughout the property, La Fonda de Bustio offers accommodations in Bustio.Each room includes a flat-screen TV. Certain units have a sitting area where you can relax. You will find a coffee machine in the room. The rooms have a private bathroom equipped with a shower. For your comfort, you will find free toiletries and a hairdryer.You will find a tour desk at the property.Guests can enjoy various activities in the area, including fishing and hiking. Llanes is 12 miles from La Fonda de Bustio, and Potes is 16 miles from the property. Santander Airport is 35 miles away. We were absolutely thrilled when we saw this beautiful, large , elegant and well appointed apartment! It was spotless clean, it had 3 bathrooms for the 3 bedrooms, which is pretty rare in rentals, the location is excellent for visiting the area- the Cantabrian Coast, the Picos de Europa Mountains, the Asturian Region, all of that are in close to this location. In a ward, it was perfect! Excelente apartamento, com condiçoes para fazer refeições. Perto de supermecados. Vista para a ria. Located in Vilde in the region of Asturias, 12 miles from Llanes, Agroturismo Muriances features a terrace and views of the mountains. Free private parking is available on site.Every room is equipped with a flat-screen TV. Some units have a sitting area where you can relax. Certain rooms include views of the river or city.There is a shared lounge at the property.Potes is 16 miles from Agroturismo Muriances, and Santillana del Mar is 21 miles from the property. Santander Airport is 35 miles away. Great location, staff super friendly, couldn’t ask for more, the perfect stay! The owners were welcoming and provided us an amazing breakfast, and gave us complimentary bowls of fruit later. We arrived late –at 11:00pm, but she still gave us a nice welcome. It is rural, but that was what we were looking for, so the location was fine–gorgeous even in rainy March. They turned the heat on in after we got there, but it heated up fine. They do not speak English, but I got on well enough with my paultry Spanish. We wanted to hike the Picos, and be warned, the local towns do not provide any hiking maps in the off season (March) so bring/download/find your own. Beautiful countryside, beautiful house, lovely room with a private bathroom and a bath! The most amazing breakfast ever, with all sorts of delicious home made things. We were sent on our way with a bag of home grown oranges. We travel down through Spain annually and will try to revisit as often as we can. This place is a gem. Our room was comfortable and part of a suite with a small kitchen and sitting area. The location had easy access to many of the local attractions, including the Picos de Europa and the many caves in the area. Our host prepared the most Sumptuous breakfast, the best ever in our travels. Highly recommended. Featuring free WiFi and a restaurant, Hostal Baviera offers accommodations in Pesués. Guests can enjoy the on-site bar. Free private parking is available on site.All rooms include a flat-screen TV. Each room is fitted with a private bathroom equipped with a bathtub or shower.Llanes is 14 miles from Hostal Baviera, and Potes is 17 miles away. Breakfast was tea or coffee and toast with butter and marmelade. Reception was ok. German Boss was very friendly. Diner was excellent. I left too early to enjoie The breakfest. Que el hostal era justo como me lo imaginaba y el trato del personal. La ubicación era perfecta y el precio comparado con el resto de alojamientos de la zona era determinante. This property is a 8-minute walk from the beach. 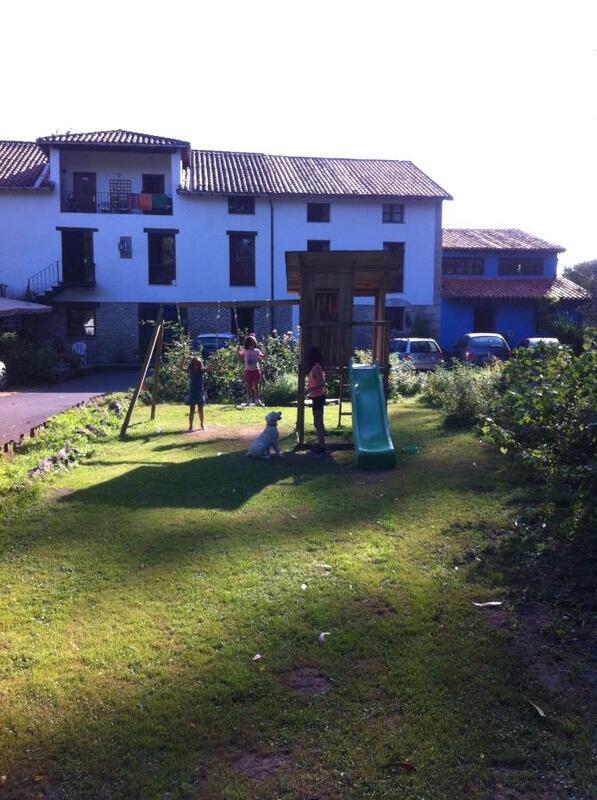 Posada Mellante is located in Pechón, just 13 miles from Llanes. Guests can enjoy the on-site bar.Each room includes a private bathroom.You will find a shared lounge at the property.Potes is 18 miles from Posada Mellante, and Santillana del Mar is 19 miles away. The nearest airport is Santander Airport, 34 miles from the property. The area is beautiful and everything in the Posada was perfect. Very clean, great staff, nice breakfast and comfortable rooms. A great place to be based while exploring Cantabria/Asturias countryside. Rachel is a wonderful host. The hotel sits in a marvelous rural setting with the sea on its doorstep. We have stayed there many times and will continue to do so. First of all the Satnav lead us to the wrong village. We finally got to Pechon in the dark, so texed the host who got in the car and came looking for us. After helping unload the car in the pouring rain, apologised for not providing an evening meal – it was never expected, and directed us to a local bar. The next morning there were croissants to die for, and other delicious delicacies. Lots of parking, staff were very helpful, the location to the beach, walks and cycling was very good, and Pechon is a lovely village. This property is a 7-minute walk from the beach. La Espina de Pechon is located in Pechón, 13 miles from Llanes and 18 miles from Potes. Guests can enjoy the on-site restaurant. Free private parking is available on site.Each room is fitted with a TV. The rooms are equipped with a private bathroom.You will find a tour desk at the property.Santillana del Mar is 19 miles from La Espina de Pechon, and Ribadesella is 29 miles from the property. The nearest airport is Santander Airport, 34 miles from the property. Estella was lovely, made us very welcome and gave us interesting varieties for breakfast. Thank you, Estella, you are a star. The view was stunning, we could see the sea from both windows, and the field with two mares with foals. The nearby beach of Playa Amios is dramatic. Close towns are great, coastal drives stunning, river estuaries so beautiful, and backdrop of snowy picos beautiful. The place is very pleasent. The staff very friendly. Recomend. This property is a 6-minute walk from the beach. Located in Pechón, 13 miles from Llanes, Posada Fuentedevilla features free WiFi access and free private parking.Each room comes with a TV. All rooms include a private bathroom. For your comfort, you will find free toiletries and a hairdryer.You will find a tour desk at the property.Potes is 18 miles from Posada Fuentedevilla, and Santillana del Mar is 19 miles away. 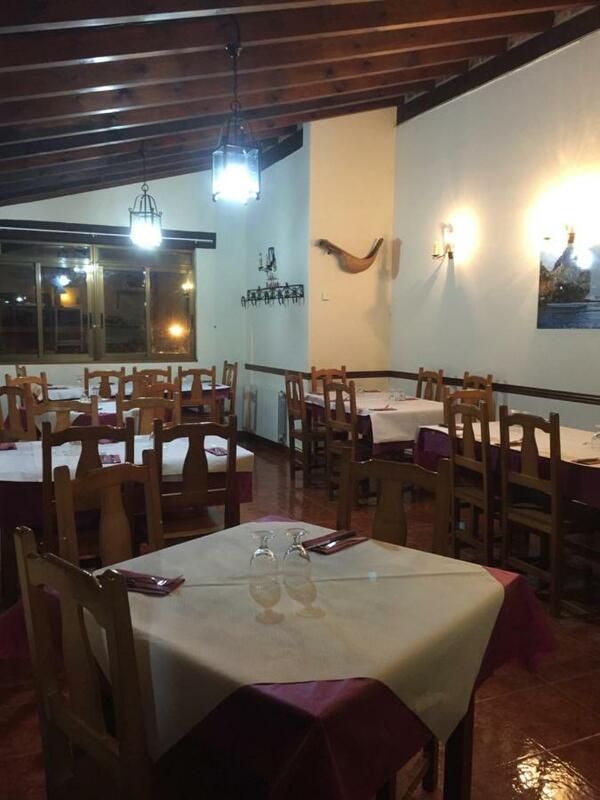 The nearest airport is Santander Airport, 34 miles from Posada Fuentedevilla. The attention to detail such as towels and bed linen embroidered with property’s name; the beautiful breakfast table with a fresh flower; the lovely garden, furnishings and quiet location; also, feeling like a valued guest. la casa es muy bonita, y con bonitas vistas. El personal muy amable, sin caer en servilismo. La habitación muy bonita. El desayuno abundante y muy bueno. Los propietarios encantadores. Hosteria El Corralucu offers accommodations in Serdio. Guests can enjoy the on-site bar.The rooms include a TV. The rooms come with a private bathroom.There is a tour desk at the property.Llanes is 16 miles from Hosteria El Corralucu, and Potes is 17 miles from the property. Santander Airport is 32 miles away. This was a very rural property – and provided ideal accommodation for walkers on the camino – who are looking for a bit more than the basic services of an albergue. Breakfast on the premises was fine. The local bar was a lovely authentic Spanish camino experience – a really nice atmosphere with great value food. Simple place to stay in the middle of nowhere. Lovely warm and friendly hostess and host. Great value for money. Awesome breaksfast. The owner is really nice and the hotel nice and cosy. Comfortable and cheap place. I really recommend it. Terrace at back was very relaxing and host very welcoming. Location is beautiful. The room was clean and homey. Staff is quite friendly. Pensión Quintana offers accommodations in Prellezo. Guests can enjoy the on-site bar.All rooms include a flat-screen TV.Llanes is 15 miles from Pensión Quintana, and Potes is 18 miles from the property. The nearest airport is Santander Airport, 32 miles from Pensión Quintana. Very clean and excellent price. Warm family environment. Located in a nice village with a beautiful beach. Restaurant, bar and free private parking. El trato, la cercanía y sobretodo el ambiente. Siendo un poco glotón, diría que la comida era espectacular. El entorno en el que se encuentra el estableciemiento es muy bonito. El trato es familiar, cercano y ameno. La habitación muy limpia y acogedora. La comida es casera, excelente y abundante. Posada la Torre offers accommodations in Serdio. Free WiFi is available and free private parking is available on site.Some accommodations have a sitting area to relax in after a busy day. The rooms are equipped with a private bathroom fitted with a bathtub. A TV is featured.There is a shared lounge at the property.Llanes is 16 miles from Posada la Torre, and Potes is 17 miles away. Santander Airport is 32 miles from the property. La paz y tranquilidad del lugar. Cercanía de la costa y el entorno natural. La dueña, aunque al principio un poco distante y reservada, resultó muy agradable..
Très bien pour le prix. La chambre et grande, salle de bain avec grand bain. Era como un apartamento con dos habitaciones y un balcón grande. Un salón, un baño y una habitación de matrimonio. Tenía baño, televisión pequeña y dos sofas cama en la sala de estar (éramos cuatro; dos mayores y dos niños). Entraba el desayuno en el precio de la habitación. This property is a 12-minute walk from the beach. 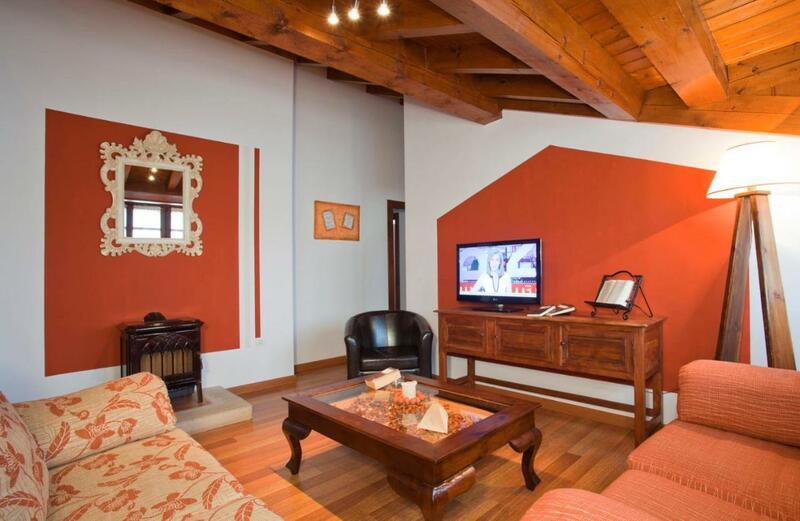 Located in La Franca, 10 miles from Llanes, Sidreria La Casa Abajo features free WiFi access and free private parking. Guests can enjoy the on-site restaurant.All rooms are fitted with a TV. Every room is equipped with a private bathroom.Potes is 16 miles from Sidreria La Casa Abajo, and Santillana del Mar is 23 miles away. The nearest airport is Santander Airport, 38 miles from the property. The food is really excellent and overall very good value for money. Authentic, lots of locals go there. Amazing sidra dispenser machine. L’ambiance familiale de ce café restaurant. Le personnel est très agréable et serviable. Quant aux plats…: copieux et très bons. Nous avons également apprécié la proximité d’une petite plage super. LA COMIDA EN EL RESTAURANTE BASTANTE BUENA Y BIEN DE PRECIO. Buena ubicación y buen precio. Habitaciones suficientemente amplias aptas para pasar una noche. El personal es muy amable y la cocina es estupenda. Se come muy bien a muy buen precio. 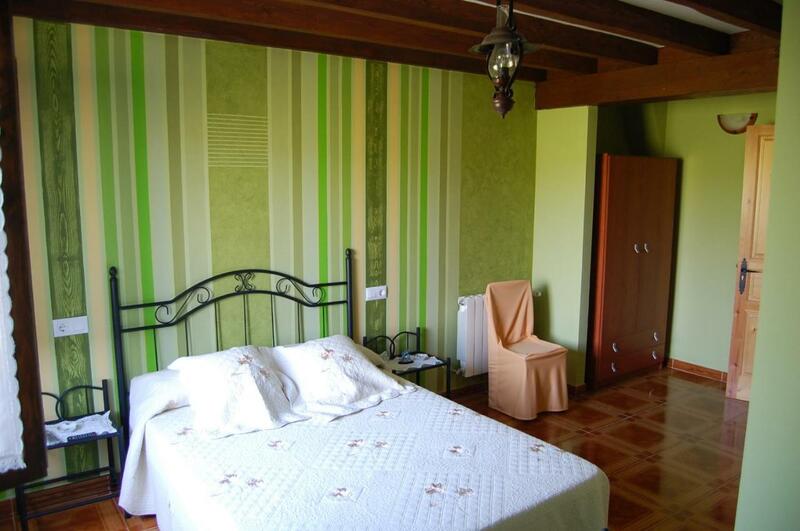 The above is a top selection of the best guest houses to stay in Prío Cantabria to help you with your search. We know it’s not that easy to find the best guest house because there are just so many places to stay in Prío Cantabria but we hope that the above-mentioned tips have helped you make a good decision. 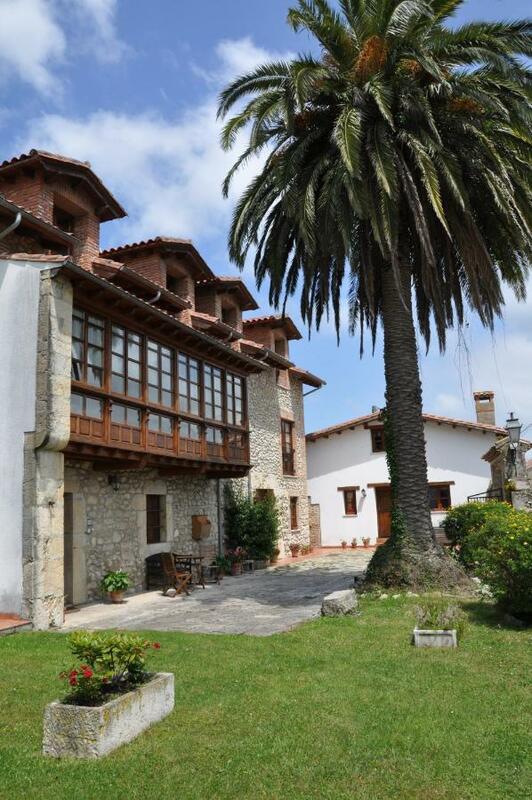 We also hope that you enjoyed our top ten list of the best guest houses in Prío Cantabria. And we wish you all the best with your future stay!